Scleroderma, also called crest syndrome, is the chronic hardening and tightening of the skin and connective tissues. This condition typically affects females more so than males. This is a rare chronic disease characterized by abnormalities in the skin, joints, and internal organs. This condition commonly occurs between ages 30 and 50. Scleroderma is an autoimmune disorder in which the immune system attacks the body. The body attacks healthy tissue, mistakenly thinking the tissue is a foreign substance or infection. There are many different types of autoimmune disorders. This specific condition affects many different areas of the body, making it difficult to diagnose. It is typically diagnosed after a physical examination, including blood testing. The condition causes degenerative changes and scarring to the skin, joints, and internal organs. Scleroderma is thought to affect anywhere from 40,000 to 165,000 people in the United States. There are seven common scleroderma complications. The first complication is located in the fingertips and related to Raynaud’s disease. This is where blood flow to the hands becomes restricted, causing permanent damage including gangrene and amputation. The second most common complication occurs in the lungs. 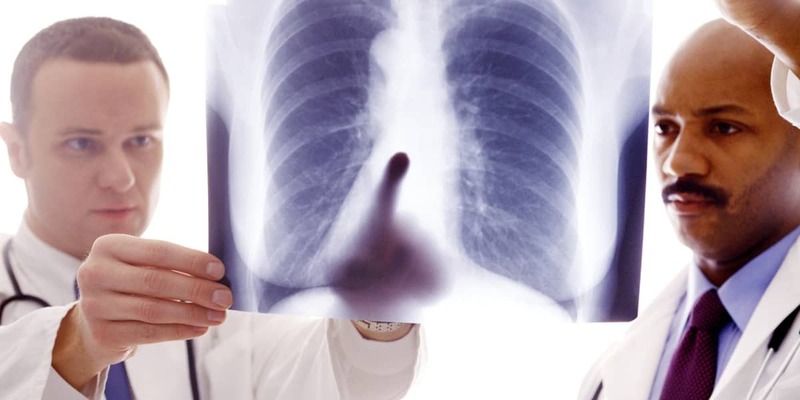 When connective tissue in the lungs become scarred, this can lead to severe breathing issues related to pulmonary arterial hypertension. The third most common complication occurs in the kidneys, causing an increase in protein and high blood pressure, often leading to kidney failure. The fourth most common complication is related to scarring in the heart. This can cause an irregular heartbeat, congestive heart failure, and pericarditis. The fifth most common issue among scleroderma complications relates to your teeth. If skin tightens around the jaw line, this can cause the mouth to shrink, creating severe dental problems. The sixth most common complication occurs in the digestive system. And the seventh most common complication of scleroderma relates to sexual dysfunction. While there is no specific cure for scleroderma, the symptoms and organ dysfunction complications can be treated. Typically, once this autoimmune disorder presents itself, it will continue to progress. But in some cases, you may see a rapid remission rate with treatment. Typical treatments include medication, physical therapy, and surgery. Suffering from scleroderma that is causing sexual dysfunction will likely not qualify you for disability benefits. But damaged tissue in your lungs or heart may cause significant symptoms that make it difficult, if not impossible, to work. If you are suffering from severe symptoms related to scleroderma, you should apply for Social Security Disability benefits. 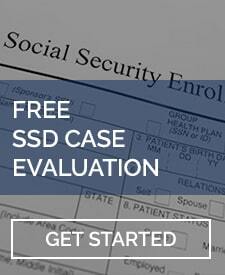 The Social Security Disability (SSD) program is a federally mandated insurance program. You may not know this, but you have been paying into this program when you file your taxes on your earned income. In doing so, you are essentially paying a “premium” into this federal disability insurance program. To obtain these benefits, you will need to prove you meet the Social Security Administration’s definition of disability. The Social Security Administration (SSA) defines disability as the inability to perform substantial gainful activity due to a severe physical and or mental condition affecting your ability to work for a period of 12 months, or expected to last for 12 months or result in death. To apply for this program, you would need to complete an online application. Or, you may call the national Social Security hotline or go into your local office to complete the application. While you do not need legal representation to file for these benefits, it is highly recommended as there are numerous regulations involved in making a disability determination. 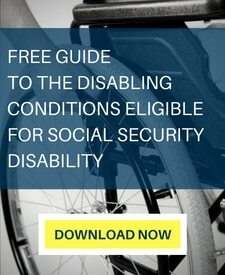 You may think it is obvious that you are unable to work; however, the SSA needs to follow very strict guidelines in determining if an individual is disabled. To determine if you are eligible for SSD and may receive federal disability insurance benefits, the SSA will first consider whether you are engaging in substantial gainful activity. All this means is that the SSA will evaluate if you are currently working. If you are, and you are earning over a certain amount of money per month, you will automatically be disqualified for the program. This program is meant to assist individuals who are either not working at all or earning very minimal every month due to their medical conditions. The second consideration is whether your condition is severe or not. The SSA will determine whether your condition poses more than a minimal impact upon your ability to work. This threshold tends to be very low, but still requires a showing of proof in terms of severity. The third consideration is whether you meet one of the SSA’s listed impairments. The SSA has a list of medical conditions in which it has deemed to be so severe that if proven you will automatically be found disabled. Scleroderma is evaluated under listing 14.04. This listing requires a showing of involvement of two or more organs/body systems with one of the organs or body systems involved to at least a moderate level of severity and at least two of the constitutional symptoms or signs including severe fatigue, fever, malaise, or involuntary weight loss. Or, you may show toe contractures resulting in the inability to ambulate, finger contractures resulting in the inability to perform fine movements, atrophy to one or both lower extremities, or atrophy to both upper extremities. Or, you may show Raynaud’s syndrome characterized by gangrene or ischemia. Alternatively, you may show repeated manifestations of scleroderma with at least two constitutional symptoms of severe fatigue, fever, malaise, or weight loss and one marked level of activities of daily living’s social functioning or task completion. Proving that you meet a listing can be done through your medical treatment notes. It requires specific notes from your treating providers describing limitations within the physical examinations. You will want to make sure your doctor notates at every visit the severity of not only your physical findings, but also of your mental abilities including fatigue, pain, and concentration. If you do not meet listing 14.04, the SSA will then determine your functional capabilities. The purpose of finding out what you are functionally capable of doing is used to determine if you are able to perform the tasks required of your past work. If not, then the SSA will consider whether there is other work available in the national economy with your noted limitations. Scleroderma is a rare condition that can be quite disabling. If you find you are suffering from this condition and/or related scleroderma complications, you should seek advice from an experienced disability attorney as to whether or not you should apply for the federal disability insurance program.